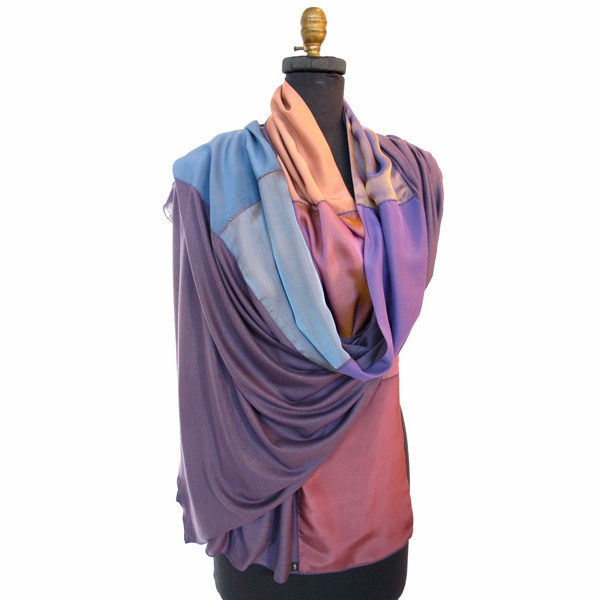 35×90″ shawl in tercel jersey with silk pieced border, mauve jersey with russet oro colors. 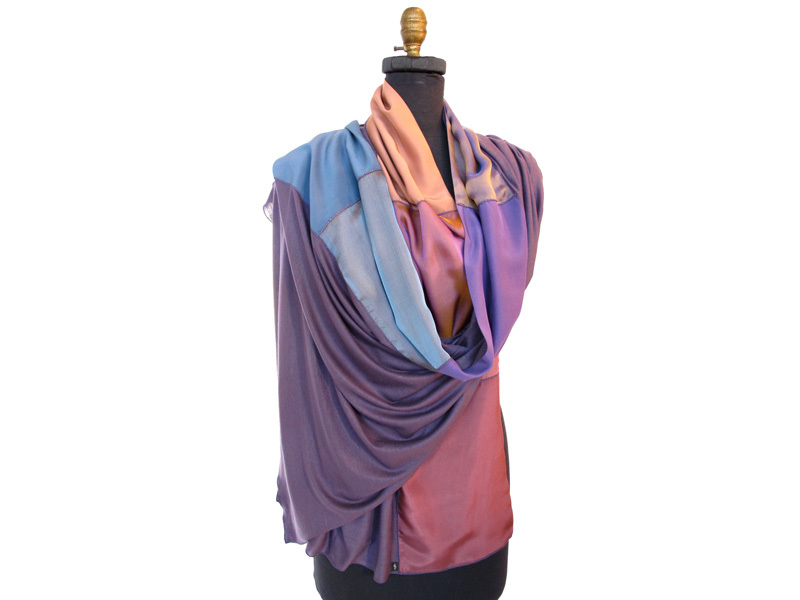 Tercel jersey with a pieced silk border. 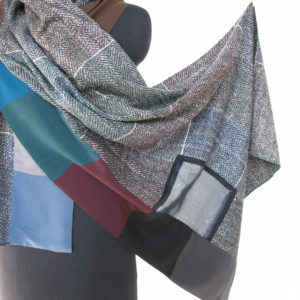 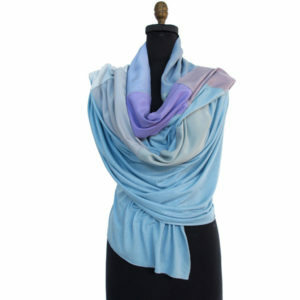 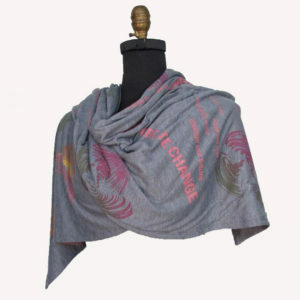 An extremely comfortable piece as a shawl or scarf.